The construction industry continues to thrive throughout the world, with the global market expected to grow in value by 85% to $20.5 trillion by 2030. Yet while the industry flourishes, one of the biggest issues it faces is that of safety in the workplace where the number of injuries and fatalities caused by accidents on jobsites continues to cause alarm. In the European Union, construction is the sector most at risk of accidents, with more than 1,300 people being killed in construction accidents every year. Construction workers are 3 times more likely to be killed, and twice as likely to be injured as workers in other occupations. Tonal back-up alarms being ignored by site workers. In the high-risk construction industry, organizations have a duty to safeguard their workers. Although many countries are required to comply with their own health and safety standards, organizations are increasingly choosing to invest in enhanced safety systems to protect their workers and keep their reputations intact. 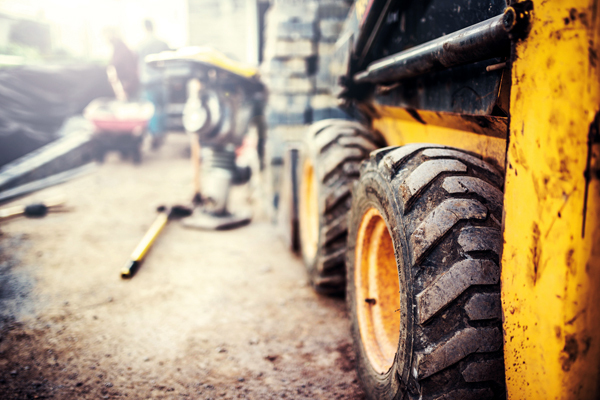 On construction sites, the need for safety is paramount, particularly as the slightest mistake can have devastating consequences. The latest innovations in technology mean many of these accidents can be prevented. A range of commercial vehicle safety systems are available to assist construction companies in keeping their staff safe. On-board camera systems can help to alert drivers to possible dangers, while reversing and warning alarms alert workers when a vehicle is maneuvering near them. Brigade’s reversing alarms harness high-spec broadband sound frequency, emitting a wide range of white sound frequencies. These enable workers to locate the direction of the sounds instantly. Rather than the old style “beep beep”, Brigade’s reversing alarms create a “ssh-ssh” sound, which dissipates quickly. This means the alarm can only be heard in the danger zone, so there is more chance of alarm-weary workers paying attention. The broadband frequency also gives workers wearing ear protection devices a better chance of hearing the alarm. Blind spots on large jobsite vehicles and machinery can be particularly deadly. The front, rear and nearside are problematic areas of vehicles, particularly those with elevated driver positions. Harsh construction site terrains, where thick dust and mud often decrease visibility even more, further increase the risk of accidents. Radar systems alert the operator to potential risk. They works by emitting a continuous-wave radar that is faster than pulsed-radar products. Some detection systems can produce false alerts, which can lead to frustration for the driver, resulting in genuine alerts being disregarded. Continuous-wave radar protects against false alerts, thanks to the controlled beam pattern, which can be programmed, allowing organizations to fix a bespoke detection area specifically suited to their needs. When a moving or stationary object is detected, the driver is given an in-cab visual display plus an audible warning. Another advantage installing a radar system is that, unlike cameras, they will continue to function at optimum levels even in the harshest of conditions, such as rain, fog and snow. As technology moves forward, systems are being developed to address the need for multiple sensors which have the ability to cover large, complex blind spot areas. While it may not be possible to eliminate every element of risk when maneuvering heavy plant and machinery, radar obstacle detection is a step forward in protecting the lives of vehicle operators and those who work around them.